S. Tokita, J. Kawanaka, M. Fujita, T. Kawashima, and Y. Izawa, “Sapphire-conductive end-cooling of high power cryogenic Yb:YAG lasers,” Appl. Phys. B vol. 80, pp. 635-638 (2005). J. Kawanaka, S. Tokita, H. Nishioka, M. Fujita, K. Yamakawa, K. Ueda and Y. Izawa, “Dramatically Improved Laser Characteristics of Diode-Pumped Yb-Doped Materials at Low Temperature,” Laser Physics 15, pp. 1306-1312 (2005). 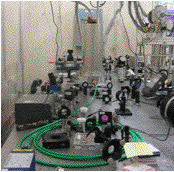 S. Tokita, J. Kawanaka, M. Fujita, T. Kawashima and Y. Izawa, “Efficient High-Average-Power Operation of Q-Switched Cryogenic Yb:YAG Laser Oscillator,” Jpn. J. Appl. Phys 44, L1529-L1531(2005). S. Tokita, J. Kawanaka, M Fujita, T. Kawashima and Y. Izawa, “Sapphire-conductive end-cooling of high power cryogenic Yb:YAG lasers,” Advanced Solid-State Photonics (ASSP, OSA), MF44 (2005). J. Kawanaka, “New Concept of DPSSL – Tuning laser parameters by controlling temperature -,” 2005 US-Japan Workshop on Laser-IFE (General Atomics, San Diego, March 2005). T. Kurita, T. Kawashima, T. Ikegawa, O. Matsumoto, R. Yasuhara, T. Sekine, J. Kawanaka, N. Miyanaga, M. Nakatsuka, Y. Izawa, H. Kan, Y. Tsuchiya, H. Furukawa, T. Kanabe, “Thermally-Edge-Controlled Slab Laser for Inertial Fusion Energy and Applications,” Conference on Lasers and Electro-Optics (CLEO2005, OSA), CMJ5 (2005). J. Kawanaka, “A cryo-cooled ytterbium-doped laser materials for IFE driver −New concept of DPSSL-,” 2nd International Workshop on High Energy Class Diode Pumped Solid State Lasers 2005 (HEC-DPSSL 2005), 2-1 (2005). T. Kawashima, J. Kawanaka, N. Miyanaga, M. Nakatsuka, Y. Izawa, O. Matsumoto, T. Kurita, R. Yasuhara, T. Ikegawa, T. Sekine, M. Miyamoto, K. Iyama, H. Kan, Y. Tuchiya, and H. Furukawa, “Recent progress of HALNA DPSSL driver development,” 2nd International Workshop on High Energy Class Diode Pumped Solid State Lasers 2005 (HEC-DPSSL 2005), 1-2(2005). T. Kawashima, T. Ikegawa, H. Furukawa, R. Yasuhara, J. Kawanaka, and Y. Izawa, “Thermo-optical modeling for the HALNA slab amplifier,” 2nd International Workshop on High Energy Class Diode Pumped Solid State Lasers 2005 (HEC-DPSSL 2005), 3-2 (2005). T. Kawashima and T. Kurita, “Design of optical pump delivery system for HALNA,” 2nd International Workshop on High Energy Class Diode Pumped Solid State Lasers 2005 (HEC-DPSSL 2005), 5-2(2005). S. Tokita, J. Kawanaka, Y. Izawa, M. Fujita, and T. Kawashima, “Sapphire-cooling at both faces of high-power cryogenic Yb:YAG disk laser,” Conference on Lasers and Electro-Optics Europe 2005 (CLEO/Europe 2005, EPS/IEEE/OSA), CA2-2-MON (2005). 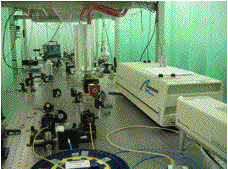 J. Kawanaka, H. Nishioka, Y. Izawa, and K. Ueda, “Active-mirror oscillator with cryogenically cooled Yb-doped materials” Conference on Lasers and Electro-Optics Europe 2005 (CLEO/Europe 2005, EPS/IEEE/OSA), CA2-3-MON (2005). T. Kawashima, T. Kurita, O. Matsumoto, T. Ikegawa, T. Sekine, M. Miyamoto, K. iyama, H. Kan, Y. Tsuchiya, R. Yasuhara, J. Kawanaka, T. Norimatsu, N. Miyanaga, M. Nakatsuka, Y. Izawa, and H. Furukawa, “Diode-pumped, thermally-edge-controlled slab laser with high-energy and large-aperture,” Conference on Lasers and Electro-Optics Europe 2005 (CLEO/Europe 2005, EPS/IEEE/OSA), CA5-1-THU (2005). R. Yasuhara, T. Kawashima, T. Ikegawa, O. Matsumoto, T. Kurita, T. Sekine, M. Miyamoto, K. Iyama, Y. Tsuchiya, J. Kawanaka, T. Norimatsu, M. Nakatsuka, Y. Izawa, and H. Furukawa, “Diode-pumped thermally-controlled zig-zag slab laser with 20-J pulse energy in 10 ns at 10-Hz repetition rate,” Pacific Rim Conference on Lases and Electro-Optics 2005 (CLEO-PR, Tokyo, July 2005), Ctul2-3. T. Sekine, R. Yasuhara, T. Kawashima, T. Ikegawa, O. Matsumoto, T. Kurita, Y. Tsuchiya, J. Kawanaka, T. Norimatsu, and Y. Izawa, “1-J at 10 Hz output diode-pumped Nd:YLF regenerative ring amplifier,” Pacific Rim Conference on Lases and Electro-Optics 2005 (CLEO-PR, Tokyo, July 2005), Ctul2-4. T. Kurita, T. Kawashima, O. Matsumoto, R. Yasuhara, T. Ikegawa, T. Sekine, J. Kawanaka, N. Miyanaga, M. Nakatsuka, T. Norimatsu, Y. Izawa, H. Kan, H. Furukawa, and T. Kanabe, “8.4 J at 10 Hz laser operation of Nd:glass zig-zag slab amplifier pumped by 290 kW peak power diode array,” Pacific Rim Conference on Lases and Electro-Optics 2005 (CLEO-PR, Tokyo, July 2005), Ctul2-5. J. Kawanaka, S. Tokita, H. Nishioka, M. Fujita, T. Kawashima, T. Yanagitani, K. Ueda, and Y. Izawa, “Cryogenically-cooled active-mirror oscillator with Yb-doped material for inertial fusion energy driver,” Pacific Rim Conference on Lases and Electro-Optics 2005 (CLEO-PR, Tokyo, July 2005), Ctul2-6. O. Matsumoto, T. Kurita, T. Ikegawa, R. Yasuhara, T. Sekine, T. Kawashima, J. Kawanaka, T. Norimatsu, N. Miyanaga, Y. Izawa, M. Nakatsuka, M. Miyamoto, T. Kanzaki, H. Kan, H. Furukawa, and T. Kanabe, “Development of HALNA driver with thermally-edge-controlled slab amplifier module,” 14th International Laser Physics Workshop 2005 (Kyoto, July 2005), Seminor4.4.5. T. Kawashima, R. Yasuhara, J. Kawanaka, T. Norimatsu, M. Nakatsuka, Y. Izawa, T. Ikegawa, O. Matsumoto, T. Kurita, T. Sekine, M. Miyamoto, H. Kan, Y. Tuchiya, and H. Furukawa, “Thermal management of high energy diode-pumped solid-state laser for inertial fusion energy and high-field applications,” International Symposium on Topical Problems of Nonlinear Wave Physics 2005 (St.Petersburg-Nizhny Novgorod, Russia, August 2005), NWP-2, pp.55. R. Yasuhara, T. Kawashima, H. Furukawa, T. Ikegawa, O. Matsumoto, T. Sekine, T. Kurita, H. Kan, J. Kawanaka, T. Norimatsu, and Y. Izawa, “Face-cooled and edge-insulated multi-disk Faraday rotator for high peak and high power,” International Symposium on Topical Problems of Nonlinear Wave Physics 2005 (St.Petersburg-Nizhny Novgorod, Russia, August 2005), NWP-2, pp.135. T. Kawashima, T. Ikegawa, J. Kawanaka, N. Miyanaga, M. Nakatsuka, Y. Izawa, O. Matsumoto, R. Yasuhara, T. Kurita, T. Sekine, M. Miyamoto, H. Kan, H. Furukawa, S. Motokoshi, and T. Kanabe, “The HALNA project: diode-pumped solid-state laser for inertial fusion energy,” Inertial Fusion Sciences and Applications 2005, B. A. Hammel, D. D. Meyerhofer, J. Meyer-ter-Vehn and H. Azechi ed., (Am. Nucl. Soc., 2006) submitted. T. Ikegawa, T. Kawashima, H. Furukawa, J. Kawanaka, N. Miyanaga, M. Nakatsuka, Y. Izawa, and H. Kan, “Design of a diode-puped 1-kJ zig-zag slab laser with cryogenically cooled ceramic Yb:YAG,” Inertial Fusion Sciences and Applications 2005, B. A. Hammel, D. D. Meyerhofer, J. Meyer-ter-Vehn and H. Azechi ed., (Am. Nucl. Soc., 2006) submitted. N. Miyanaga, M. Nakatsuka, K. Yoshida, H. Nakano, H. Kubomura, T. Kawashima, J. Nishimae, Y. Suzuki, N. Tuchiya, T. Kanabe, T. Jitsuno, H. Fujita, J. Kawanaka, K. Tsubakimoto, Y. Fujimoto, H. Furukawa, J. Lu, S. Matsuoka, T. Ikegawa, Y. Owadano, and K. Ueda, “Conceptual design of laser fusion reactor KOYO-Fast −Laser driver−,” Inertial Fusion Sciences and Applications 2005, B. A. Hammel, D. D. Meyerhofer, J. Meyer-ter-Vehn and H. Azechi ed., (Am. Nucl. Soc., 2006) submitted. Junji Kawanaka, Shigeki Tokita, Hajime Nishioka and Ken-ichi Ueda, Masayuki Fujita, Toshiyuki Kawashima, Hideki Yagi and Takagimi Yanagitani, “Efficient Active-Mirror Laser Oscillator with a Cooled Yb:YAG Ceramics,” Advanced Solid-State Photonics (ASSP, OSA), WB8 (2006). S. Tokita, J. Kawanaka, Y. Izawa, Masayuki Fujita, and Toshiyuki Kawashima, “High-average-power, high-efficient operation of Q-switched cryogenic Yb:YAG laser,” Advanced Solid-State Photonics (ASSP, OSA), TuB16 (2006). O. Matsumoto, R. Yasuhara, T. Kurita, T. Ikegawa, T. Sekine, T. Kawashima, J. Kawanaka, T. Norimatsu, N. Miyanaga, Y. Izawa, M. Nakatsuka, M. Miyamoto, H. Kan, H. Furukawa, and S. Motokoshi, “Development of thermally controlled diode-pumped solid-state laser,” Proc. SPIE, Lasers and Applications in Science and Technology(LASE2006), 6101 (2006) (in press).